Cyril Hὅschl, a Ph.D. student in Dept. of Image Processing, was awarded the Innovation Award given by The International Institute for Advanced Studies in Systems Research and Cybernetics. 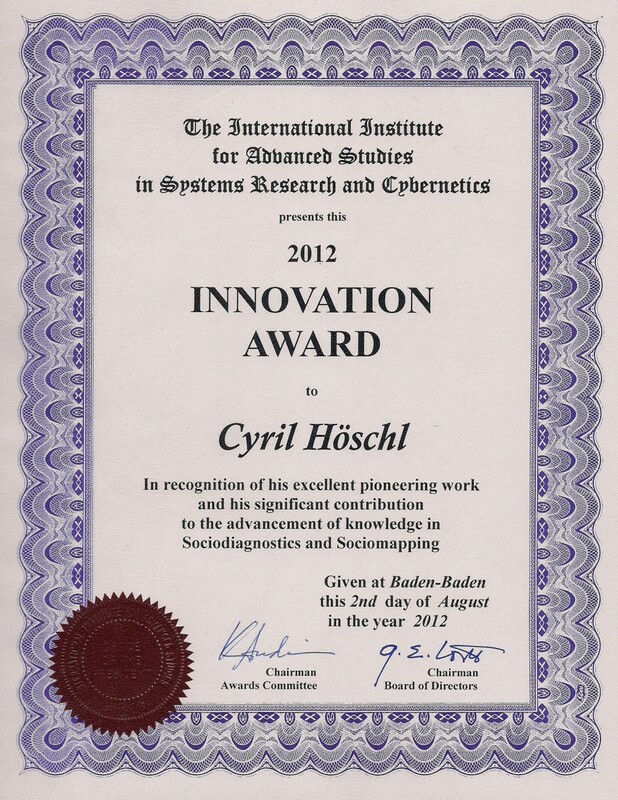 The award was presented to him at the 24th International Conference on Systems Research, Informatics and Cybernetics held in Baden-Baden, Germany, 2012.